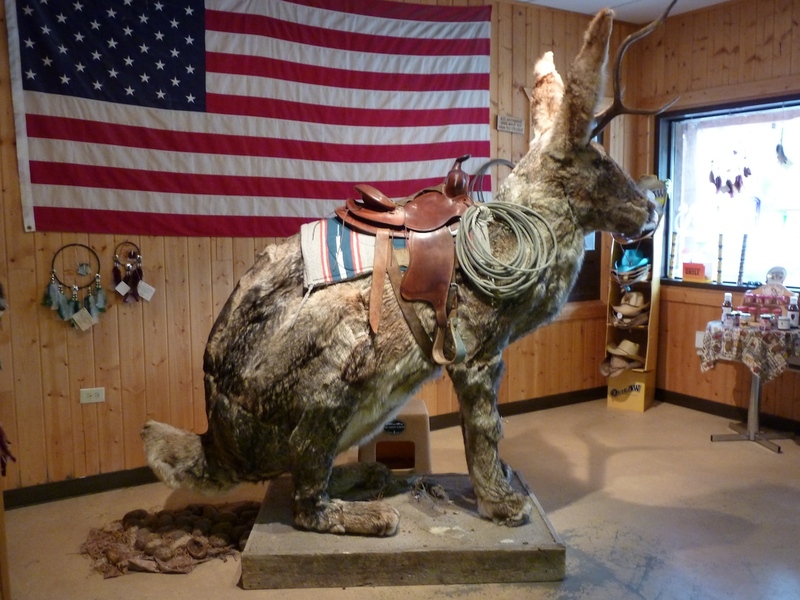 Ride the fur-covered Jackalope! | Best Road Trip Ever! 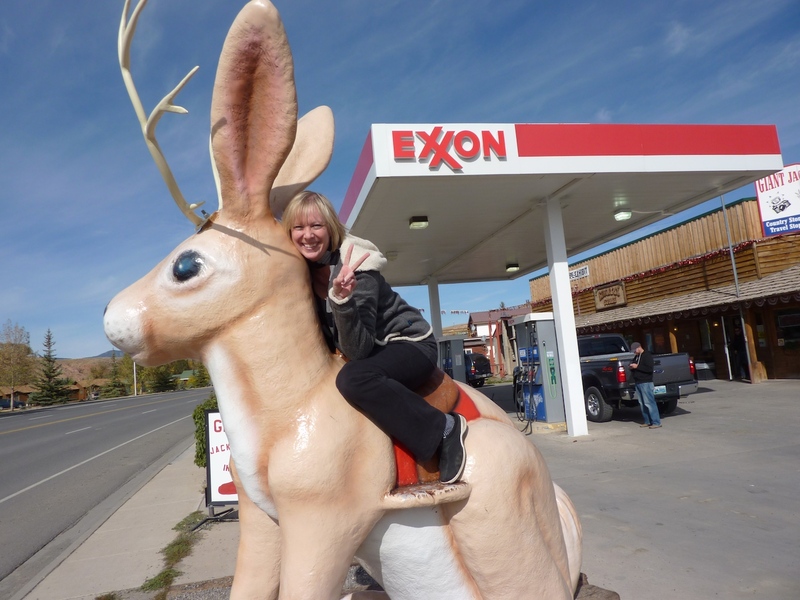 It’s a jackalope two-fer! Outside is the fiberglass beauty, and the jack inside the Exxon Country Store…ohhhh, it’s a big one and fur-covered. Only a dollar to climb on for a photo op of a lifetime. 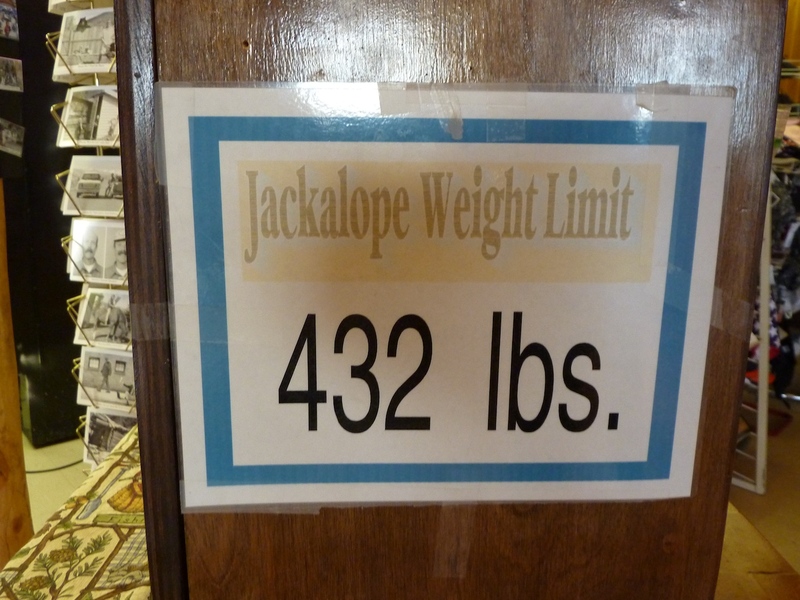 Note the pile of Jackalope droppings.